This iconic automobile will star in Rétromobile 2019 by Artcurial Motorcars, alongside the 1931 Bugatti Type 51 Grand Prix. Winner of the prestigious Concours d’Élégance at Pebble Beach in the US, and Villa d’Este in Italy, the Alfa Romeo 8C 2900B Touring Berlinetta is one of the most highly sought-after pre-war cars in the world. This is a mythical model that has only been produced in 5 copies. Salon Retromobile opens the international motor show calendar every year and the official auction, organised by Artcurial Motorcars, sets the pace for the collectors’ car market. 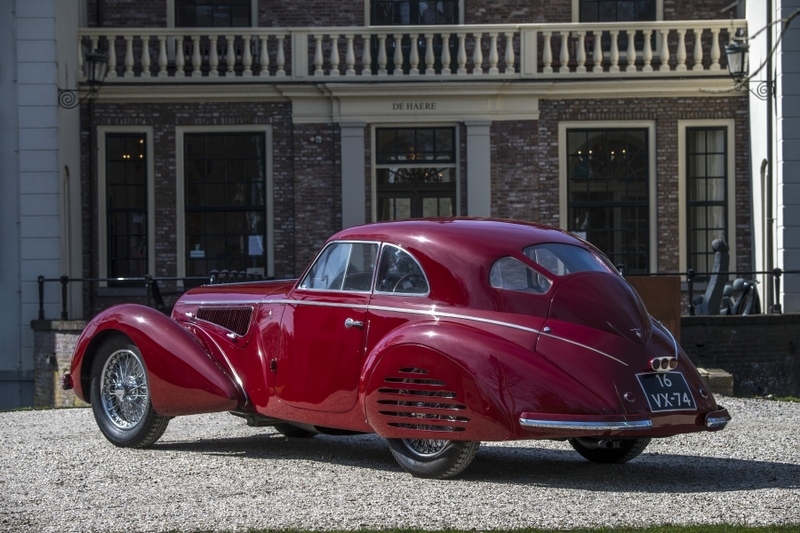 The 2019 edition will take place on Friday 8 February, and features a flagship model of the pre-war era: a 1939 Alfa Romeo 8C 2900B Touring Berlinetta, estimated at 16 - 22 M€. father of the current owner, a great enthusiast of sports cars and beautiful coachwork, acquired this car. His son was present on the day he bought it, it was 42 years ago. This masterpiece of a bygone era has remained in his possession ever since. 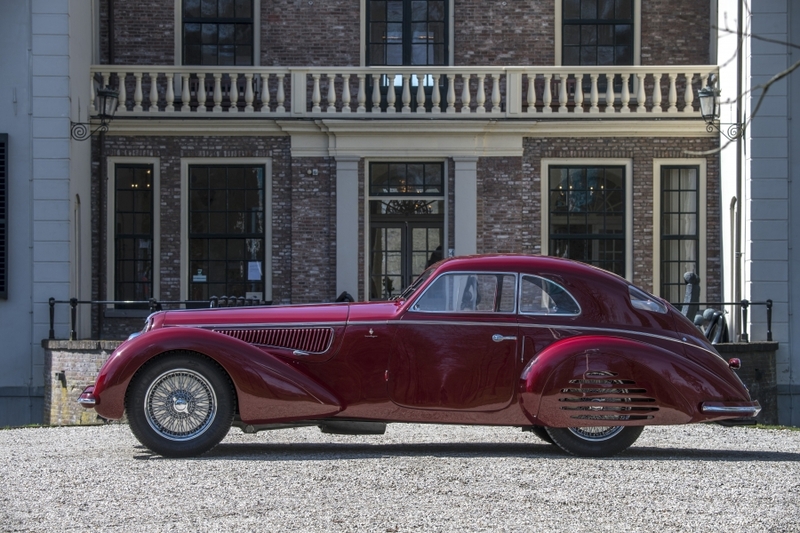 In 2014, Artcurial Motorcars promoted the Italian manufacturer with a single marque sale, simply called Solo Alfa. This attracted the attention of collectors worldwide and achieved multiple record prices. Alfa Romeo was the only pre-war manufacturer that could compete with the power of the big German constructors. Having won all the most important races, the firm decided to share this success with its private customers by creating road-going versions of its competition cars. This is what happened with the Alfa 8C. Some thirty 2.9-litre chassis were built, fitted with spider or berlinetta bodies, on both long and short chassis, and equipped with competition engines. Just five examples of the berlinetta version were built by the Italian coachbuilder Touring, who created what was undoubtedly one of the most charismatic and flamboyant versions of the model. This uniquely elegant and sporting motor car has become an absolute masterpiece in automobile history, its exclusivity placing it on a par with a Leonardo de Vinci painting. It is consider a part of the Automobile Aristocracy. 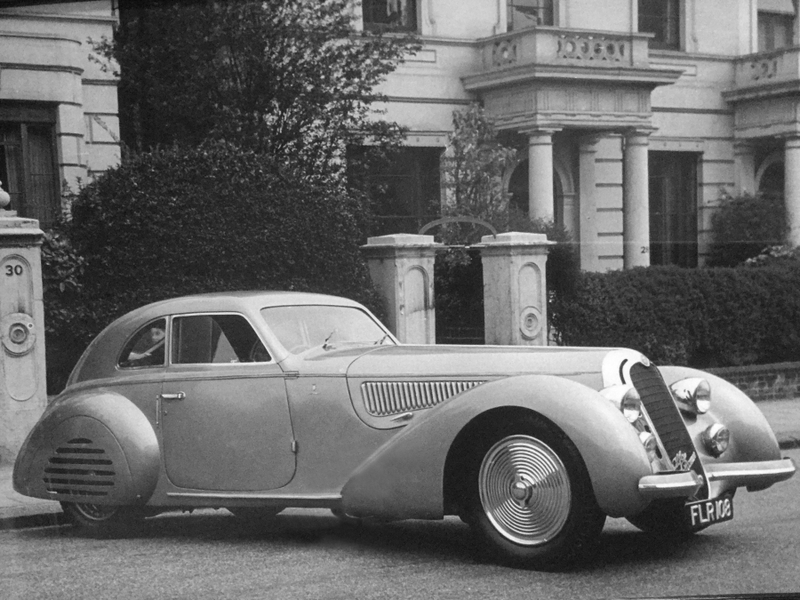 Along with the Bugatti Atlantic, the Alfa Romeo 8C 2900B Touring Berlinetta epitomises everything that was magnificent about pre-war production, and is a model boasting the highest awards in the world’s most prestigious Concours d’Elégances.